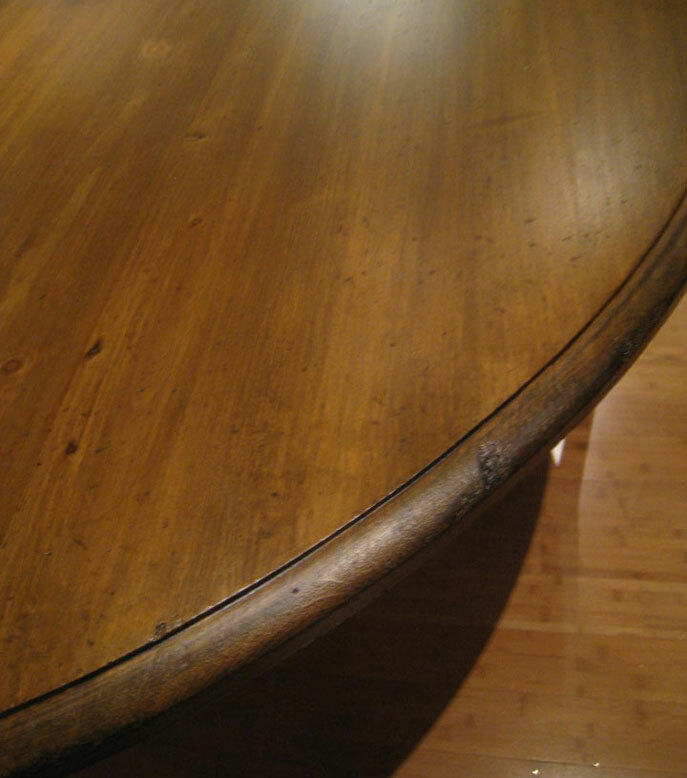 Caramel is an Aged Finish stain. The color is achieved by a base stain of Puritan Pine and a top coat of black glaze, and we surface distress the piece as well to enhance the aged finish look. The resulting finish elevates the look of the furniture. 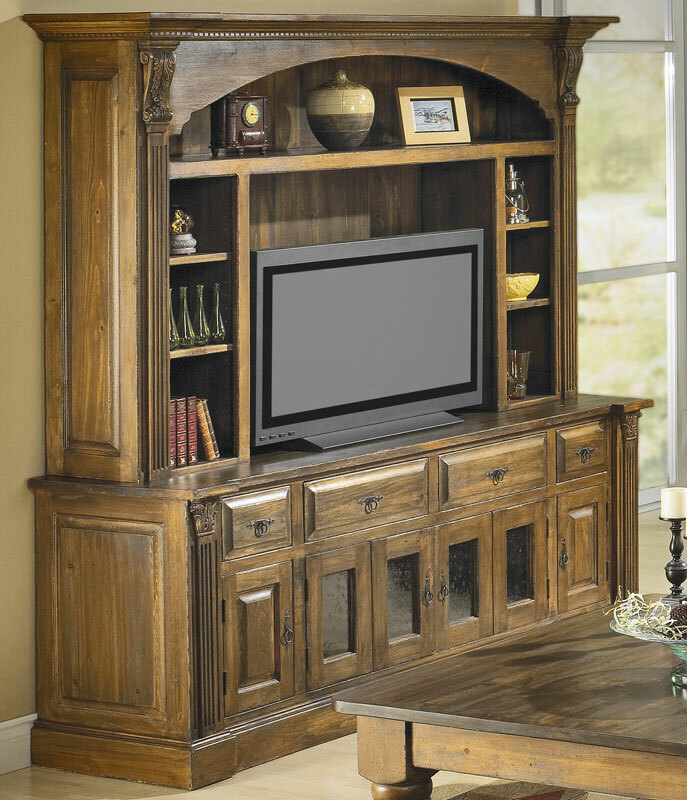 The first item shown is a Provincial TV Armoire with Open Shelves.